From The New York Times to El País and from NRC Handelsblad to De Standaard. 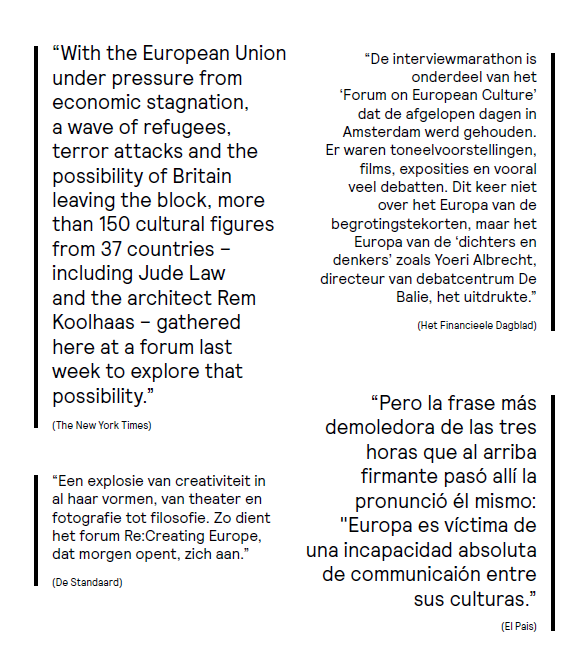 Re:Creating Europe, the first Forum on European Culture in June 2016, was widely covered in the international press. You can find an overview below.